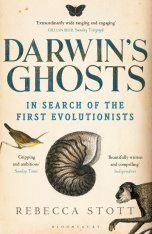 An amusing, though not outstanding, romp through some evolution's marvels. 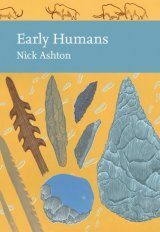 In the evolutionary arms race that has raged on since life began, organisms have developed an endless variety of survival strategies. From sharp claws to brute strength, camouflage to venom – all these tools and abilities share one purpose: to keep their bearer alive long enough to reproduce, helping the species avoid extinction. Every living thing on this planet has developed a time-tested arsenal of weapons and defenses. Some of these weapons and defenses, however, are decidedly more unusual than others. 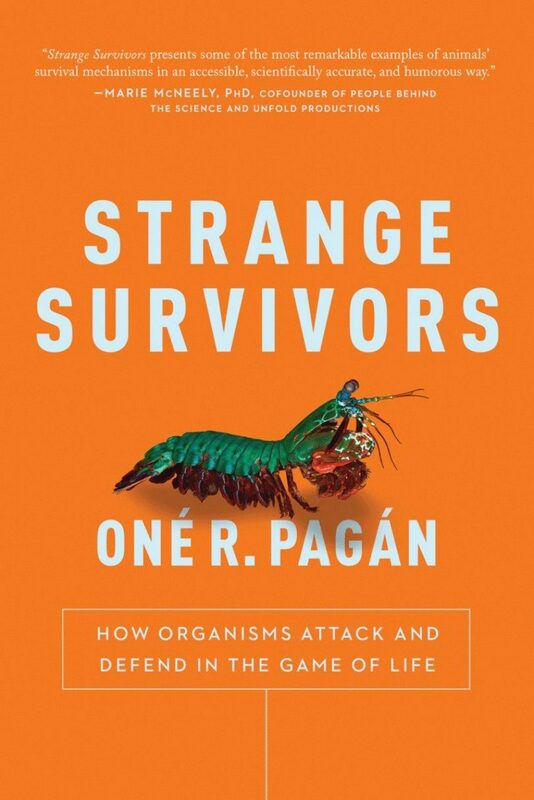 In Strange Survivors, biologist Oné R. Pagán takes us on a tour of the improbable, the ingenious, and the just plain bizarre ways that creatures fight for life. 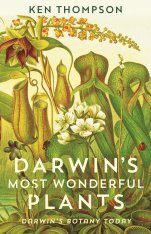 Inside this funny, fascinating field guide to nature's most colorful characters, you'll meet killer snails, social bacteria, and an animal with toxic elbows. 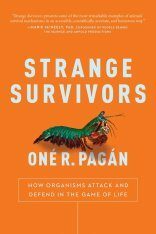 But Strange Survivors is more than a collection of curiosities – it is a love letter to science and an argument for the continuing relevance of this evolutionary battle as we face the threat of resistant bacteria and the need for novel medical therapies. 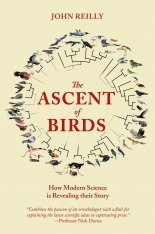 Whether discussing blood-thinning bats and electric fish or pondering the power of cooperation, Pagán reveals the surprising lessons found in some of life's natural oddities and how the tactics they employ to live might aid our own survival. Opening this book, I was immediately reminded of Emlen’s Animal Weapons: The Evolution of Battle I read some years ago, and this is the first book Pagán refers to himself. 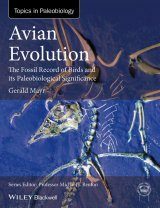 After introducing the basics of evolution and biochemistry, Strange Survivors presents an eclectic potpourri of nature’s marvels. We get a chapter on bioelectricity and how this finds its use in electric eels and rays. 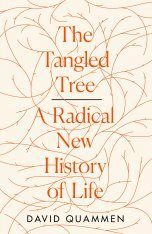 There is a long chapter on venoms, toxins and poisons throughout the tree of life, clearly a favourite topic of the author. We meet the powerful punch packed by mantis shrimps in a chapter on the use of insanely fast motion at small scales. And finally, Pagán talks about cooperation, from eusociality in insects to endosymbiosis. 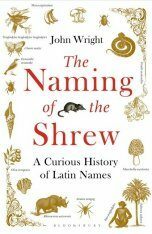 The selection of organisms included seems somewhat haphazard, and they are treated cursorily, Pagán being quick to refer the reader to the reference section for suggestions to further reading. 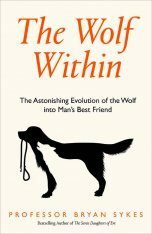 Pagán decided to write this book as if he was having a conversation with the reader. 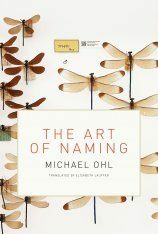 As a consequence his writing is conversational, chatty even, and the text is littered with exclamation marks, humorous footnotes, pop-culture references, interjections, and rhetorical questions. Maybe I have grown a bit jaded, or maybe I have become too British after seven years here, but I found it a bit much at times. On the other hand, here is a writer who truly remembers the wonder felt when you first opened your biology textbooks and learned completely new things. He talks about these topics while maintaining that attitude of innocence and is keen to share his enthusiasm with the reader. 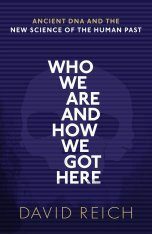 Sure enough, I learned many new interesting facts along the way, and wrote down a fair few other books to check out in the future. Strange Survivors is thus a popular science book that you can safely put in the hands of readers with little or no background in biology. 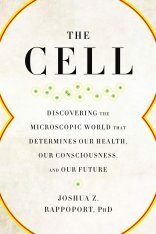 Dr Oné R. Pagán is a husband and a father, as well as a biology professor, scientist, blogger, and writer. He is in absolute awe of the natural world, especially the fact that it can be understood through science and mathematics. He spends quite a bit of his time explaining science to family, students, and essentially anyone within earshot. He also loves learning about nature firsthand through his scientific research. He has published original work in various scientific journals including the International Journal of Developmental Biology, Neuroscience Letters, Toxicon, Neurochemical Research, and Pharmacology, Biochemistry, and Behavior among others. He holds an undergraduate degree in Natural Sciences and a Master's degree in Biochemistry, both from the University of Puerto Rico, and a Doctorate in Pharmacology with a strong emphasis in neurobiology, from Cornell University. 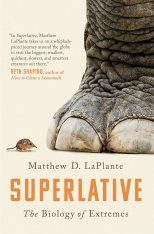 "Strange Survivors presents some of the most remarkable examples of animals' survival mechanisms in an accessible, scientifically accurate, and humorous way. 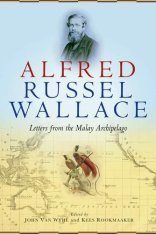 Reading this book was like sitting down to enjoy a chat on the wonders of the natural world with a close friend." "Strange Survivors is technically accurate and isn't shy with scientific terms, but never in a manner that's intimidating or overbearing. 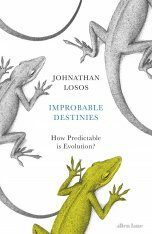 This isn't fiction – you have to think as you read, but the reward is an increased understanding of the astonishing variety of life on Earth and the strategies species use to survive."